Nashville String Machine - Welcome! Nashville String Machine - Welcome! Welcome to the official website of the world-renowned Nashville String Machine. 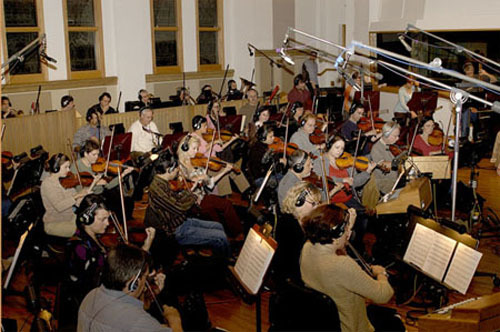 With an extensive and diverse credit list ranging from Bruce Springsteen to Alison Krauss to Johnny Cash, the String Machine has established itself as America’s premier recording orchestra for nearly 30 years. As the industry has changed, so has the String Machine  whether you need a single cello, a string quartet, or an 80-piece orchestra with winds, brass and percussion; whether you’re recording a rock band, country band or film score; whether your budget is $1,000 or $100,000, you’ll find no finer group anywhere in the world. "I have had the pleasure of working with Carl and the Nashville String Machine for many years. The level of professionalism and musicianship make every chart I write sound better than it probably is. Thank you for making every string date something to look forward to."